Though not a Canadian, Maryam Mirzakhani’s work and accomplishments are too important to leave her recent passing unmentioned. Dr. Mirzakhani is the first and only woman to have won the Fields Medal. This award, named after the Canadian mathematician John Charles Fields, is given for outstanding contributions in mathematics. It is also known as the mathematician’s ‘Nobel Prize’ and is one of the highest honours a mathematician can receive. Dr. Mirzakhani was born on May 3rd 1977 in Tehran, Iran. She attended a branch of the National Organization for Development of Exceptional Talents and in 1994, achieved a gold medal in the International Mathematical Olympiad. She was the first female Iranian to do so and in the Olympiad of 1995, she became the first Iranian to receive a perfect score and win two gold medals. She went on to complete a Bachelor of Science in mathematics from the Sharif University of Technology in Tehran. She then moved to the United States to complete her graduate work and graduated with her PhD from Harvard University in 2004. She worked under Curtis T. McMullen, one of the Fields Medalists of 1998, during her graduate studies. 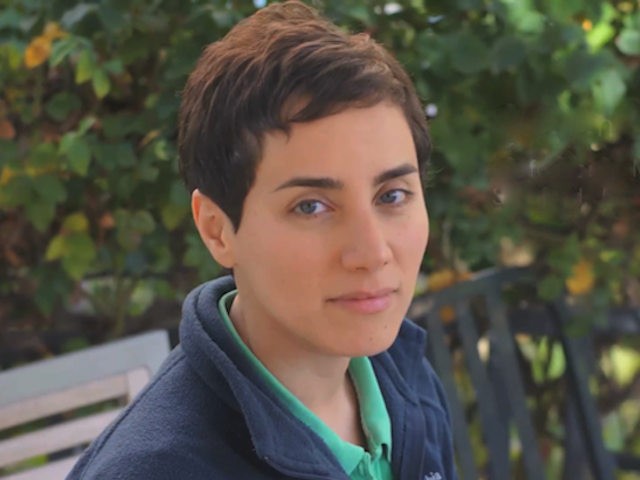 The mathematician Manjul Bhargava (Fields medalist of 2014) described Mirzakhani as a “master of curved spaces.” She proved many theorems about the shortest paths between points on curved surfaces, called “geodesics”. Her doctoral thesis was titled Simple geodesics on hyperbolic surfaces and the volume of the moduli space of curves and reads like a foreign language to any who are not experts in her fields. In her thesis, she developed a formula for how the number of geodesics of length L grows as L gets larger and managed to additionally answer two more major research questions.